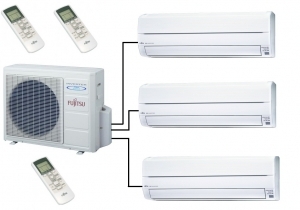 The one thing you might not want is lots of outdoor units located outside your property, this multi output air conditioner and heat pump systems solves this problem with only one outdoor unit. These system provide year round heating and cooling. 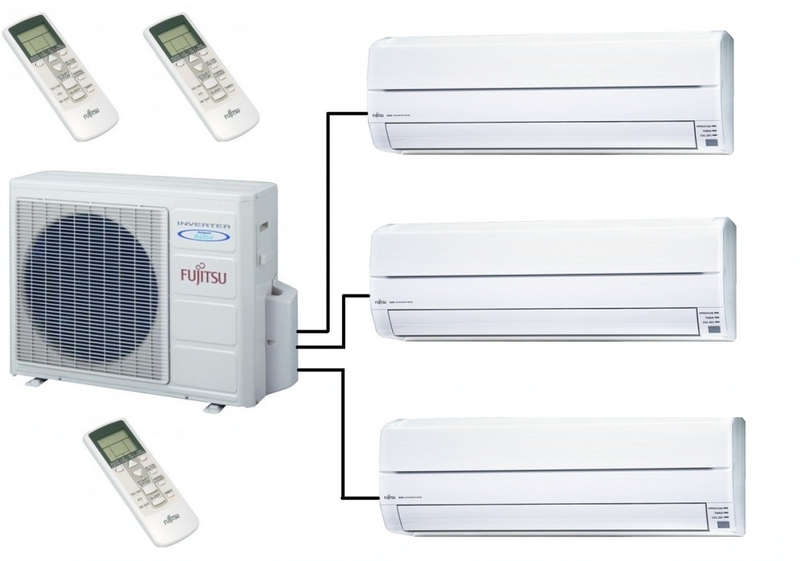 The Fujitsu AOYG24LAT3 multi outdoor unit uses 40% less energy than older types of systems. All indoor units come with individual hand held remote controls, to offer individual control of each indoor unit.